I’m definitely not going to complain that we are smack dab in the middle of summer right now. 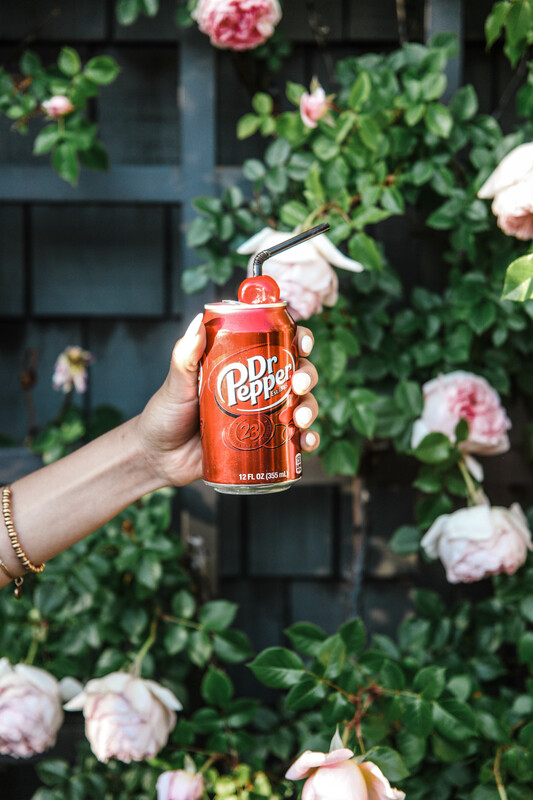 Summer just seems to make entertaining easier. You can expand your entertaining space to your backyard, a local park, or a gathering area at your local community center too. One of my fave types of events to host during the warm summer months…? A pool party! 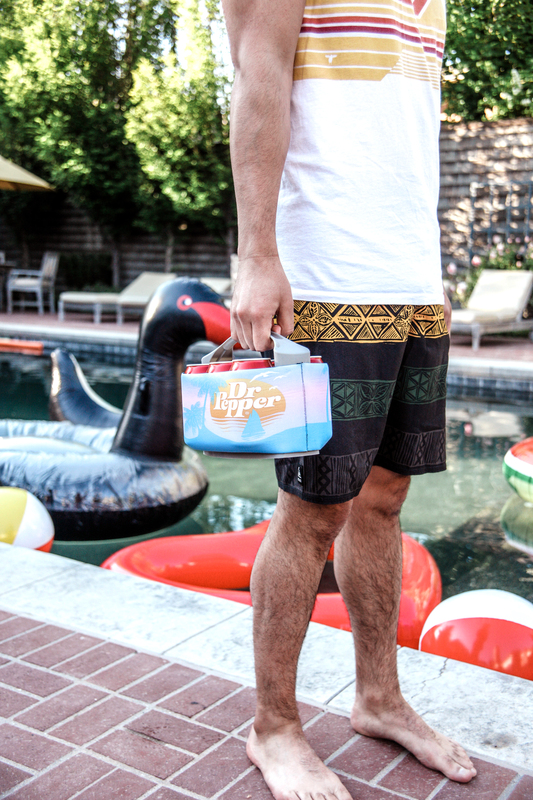 Today, I’m going to share some easy tips and tricks with you guys so that you can host your very own summer pool party with no fuss, mess, or hassle. Because, easy entertaining is the way to go! 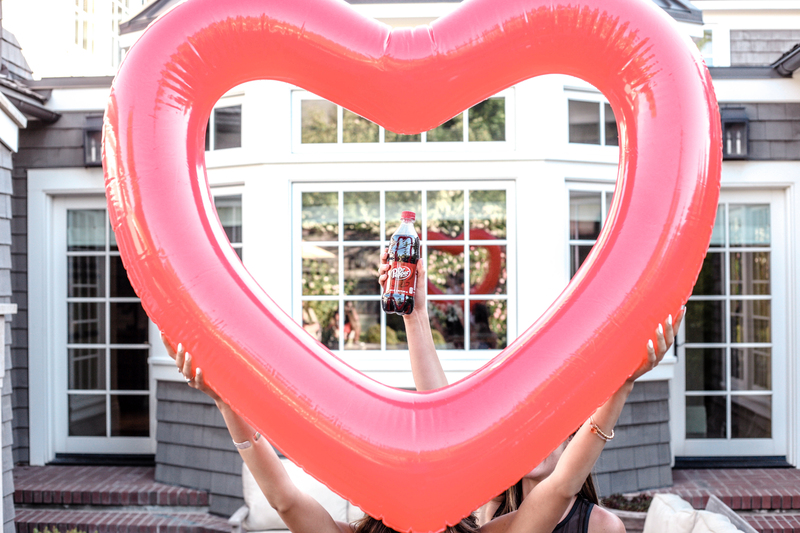 First, when planning a pool party, put together a guest list of friends or family that you want to invite. Keep it small or plan a big get together, but keep an ongoing list of attendees so that you can plan accordingly for food and drinks. You definitely don’t want to run out of either option! 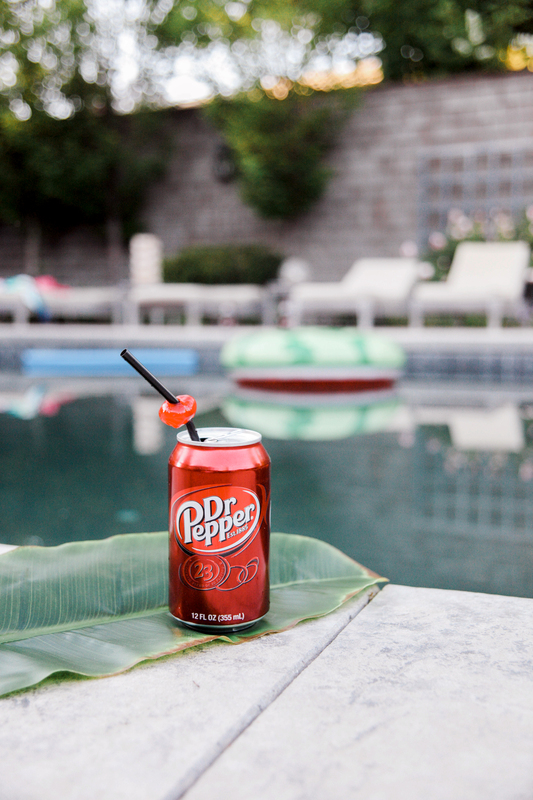 Next to the guest list, food is an important part of a successful pool party. Keep the options simple and easy to eat. You don’t want to spend more time in the kitchen than necessary and you don’t want your guests walking around with silverware either. Narrow your menu down to a few items that are easy to eat with your hands. 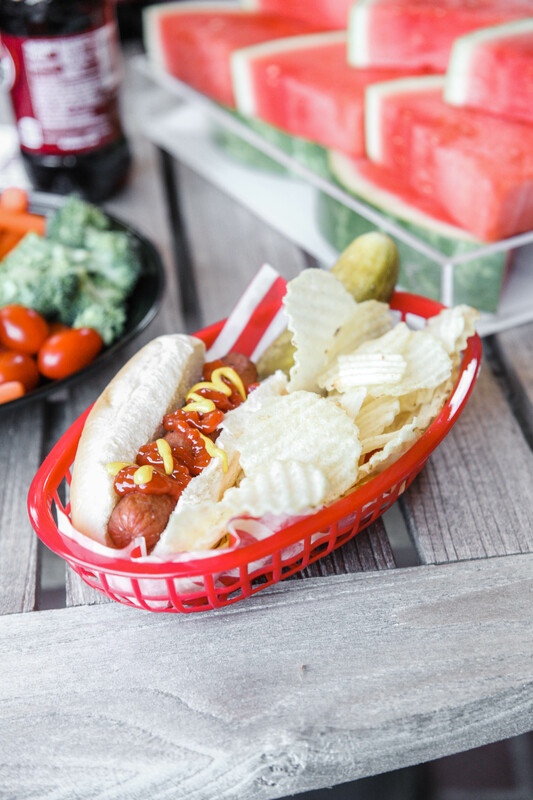 I served chips and hot dogs, fresh fruit, and veggies and dip. Keep food light and not heavy. No one wants to swim with a full stomach! I also snuck a few desserts in there too, because I just couldn’t resist! Sugar cookies shaped like sunglasses added some fun! Serve cookies or other treats on beds of candy, in your color scheme, as a way to make them pop. 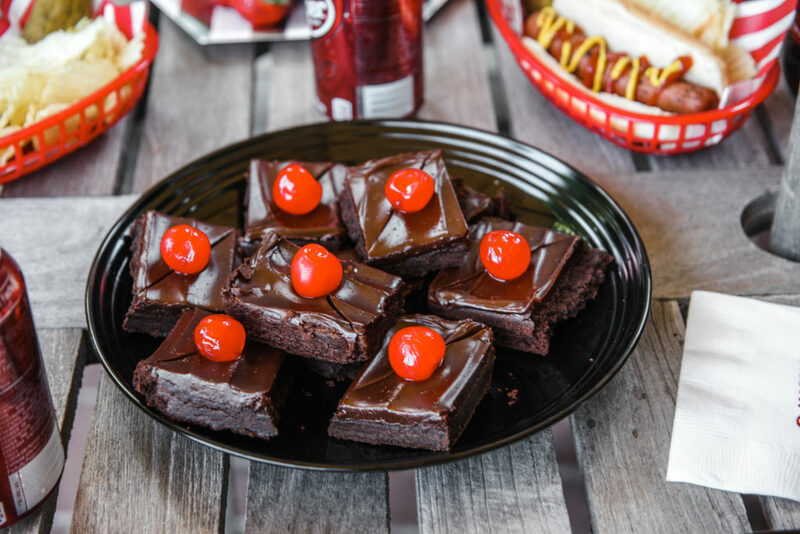 The candy also doubles as another snack that guests can munch on too! I passed out some frozen treats later in the day to help keep guests cool. 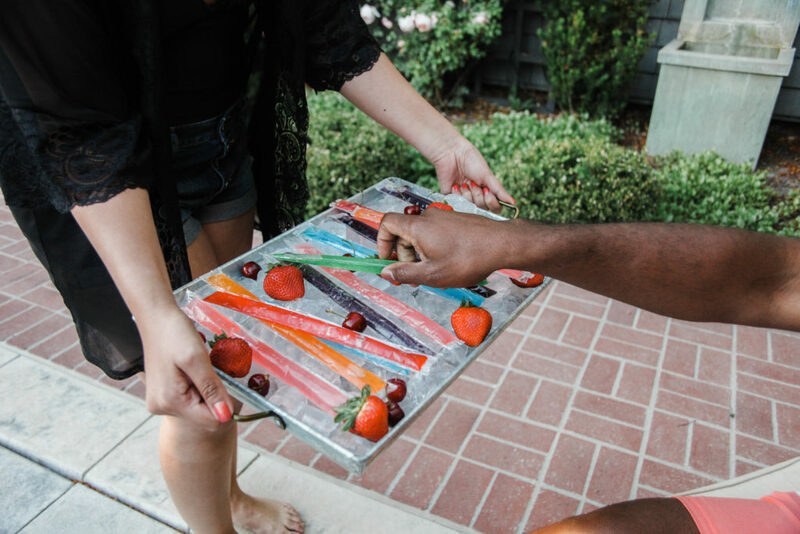 Serving frozen popsicles on a bed of ice is an easy trick that also doubles as pretty decor too! And all you have to do to prepare them is freeze them in advance. Easy and delish! 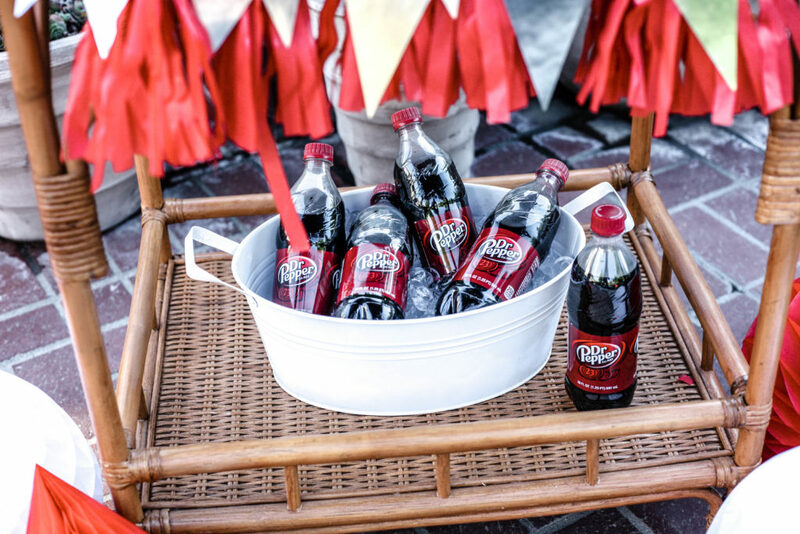 I stopped over at my local Walmart store and picked up some Dr Pepper to sip on during the party. Since all of us love Dr Pepper, it was a great way for us to cheers and celebrate summer together! This Summer, from June 15th through August 15th, when you purchase any Dr Pepper varieties from Walmart stores, you can upload your receipt here to get some awesome free prizes that are perfect for your summer gatherings! I really love the 6 pack can/bottle holder that comes with an ice pack. It made transporting multiple cans at once so much easier! 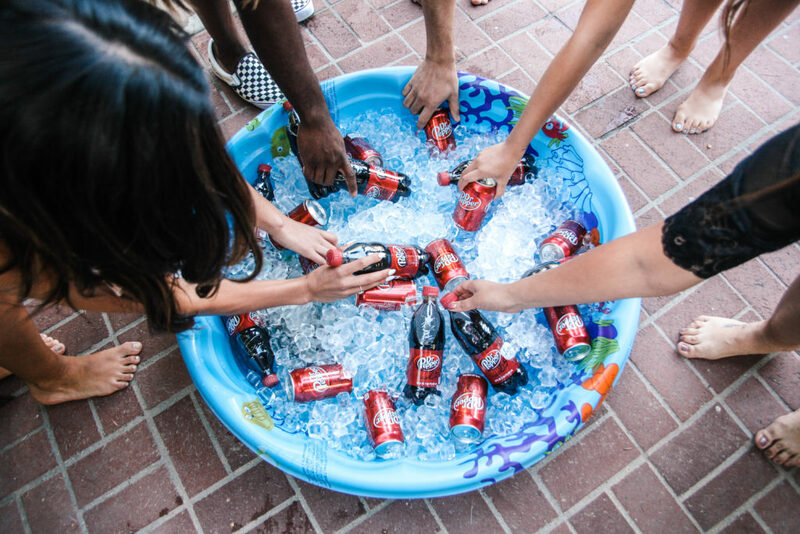 If you want to have a large amount of icy cold drinks ready for guests, without using a lot of space, grab a kiddie sized pool, fill it with ice, and add your drinks. 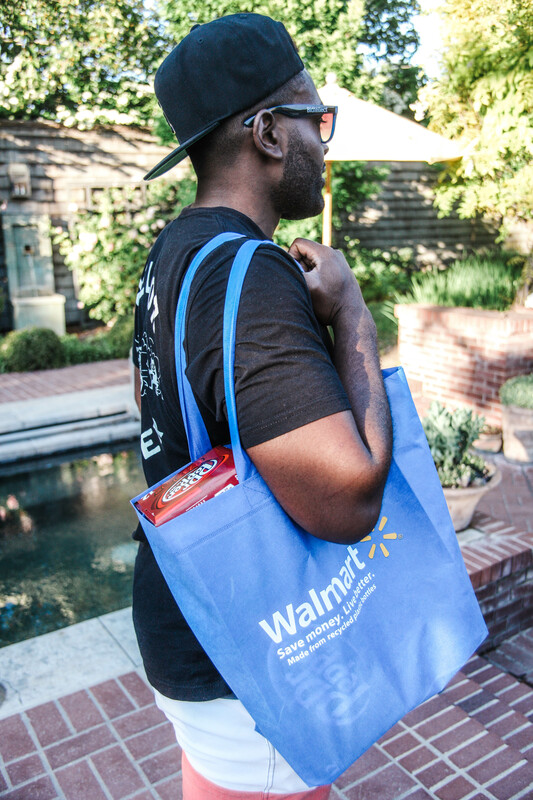 It’s an easy way to ensure you’re not stocking a cooler or passing out drinks all party long! 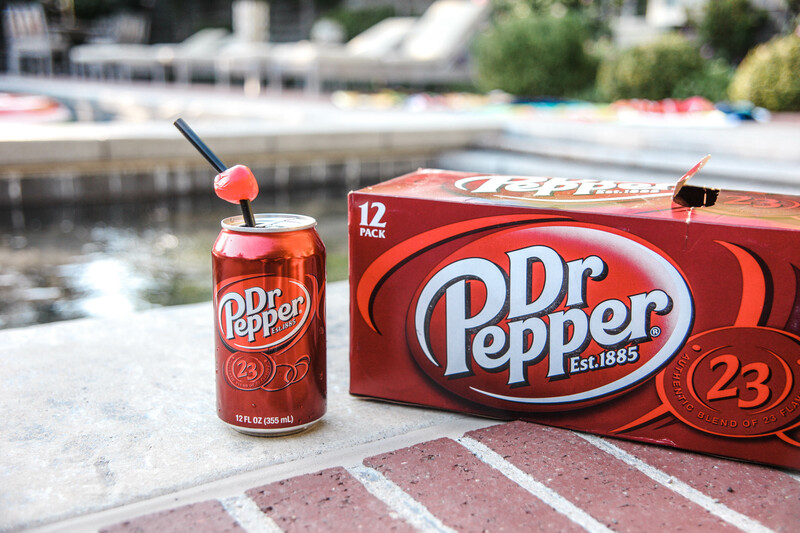 The best part about hosting a pool party…? You don’t really need much in regards to decor! 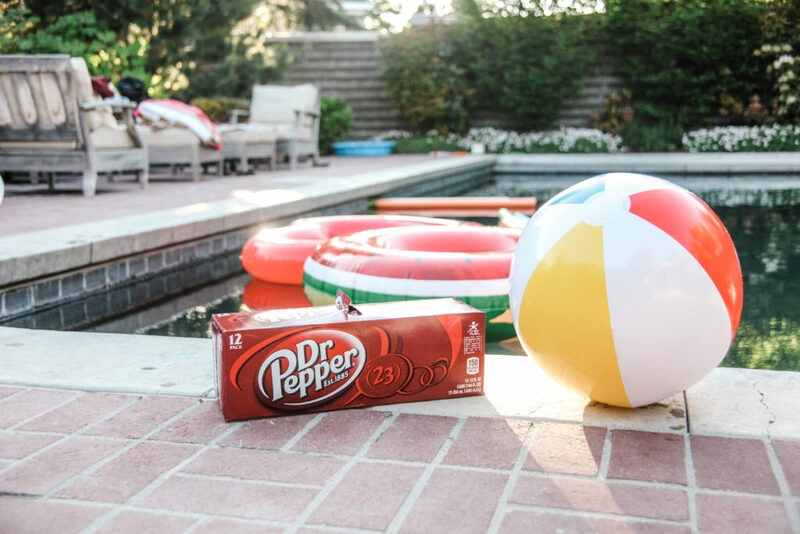 Grab some fun pool floats and noodles to float in the pool (don’t forget about the free Dr Pepper bottle float you can snag with your receipts! 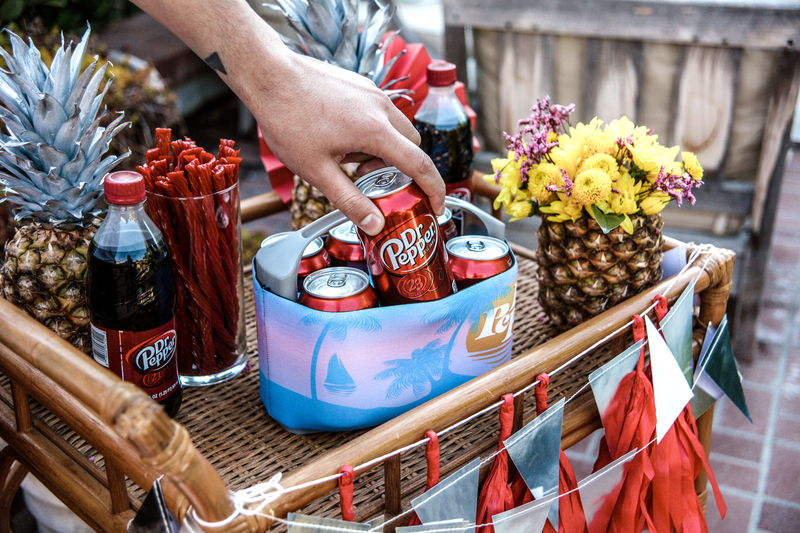 ), add some festive and tropical items like pineapples and palm fronds to food and drink stations, and set up some outdoor games for those guests that don’t want to swim.